Horse of the Month for January goes to Davis aka Dave! He is such a sweet boy who absolutely loves attention. 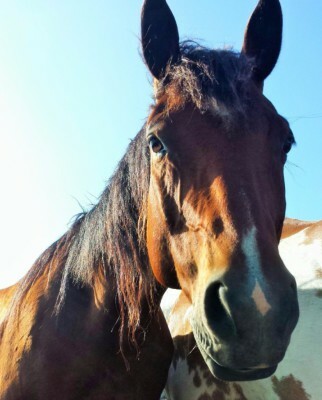 He is an expert in giving hugs and loves to play with the other horses. Davis is one of the most well mannered horses that we have here at the Double R Ranch. His personality is so incredible; he is truly one of the nicest horses we have ever come into contact with. We love being able to provide him with a home! Horse of the Month for February goes to Cigar! He has come a long way since he joined us. Cigar has been fully accepted into the herd and has even become strong friends with Davis and Indy! 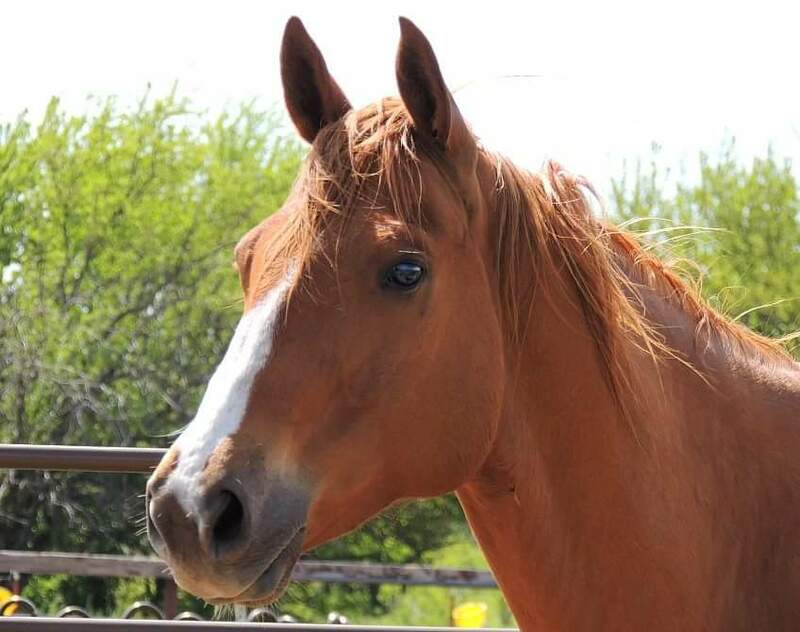 Cigar is always playful and enjoys runing around in the pasture with the other horses. He is a very polite horse, and patiently waits for his turn at feeding time. Horse of the Month for March goes to Sonny! He is always ready to play and loves being let out of his paddock so that he can run around with his friend Tec. Sonny is notorious for resting his chin on your shoulder, which we all know is a horse hug! In return all he asks for is to be rubbed and scratched. He also loves to lick people's hands, which sounds a little gross but that is one way a horse shows you that they love you. He is such a fun horse to be able to take care of, and we here at the Double R Ranch are extremely lucky to have him! Horse of the Month for April goes to Cara! This spunky mare is defiantly the boss of her paddock, and has even earned the nickname " Queen Cara". She may be sassy at times, but she is so much fun to ride with her smooth gait, and is absoultely beautiful! We love taking care of Cara, and are grateful to have her here with us. Horse of the Month for June goes to Tec! Tec is a very calm, happy horse who never causes any fuss. He is not only gorgeous but his personality makes him even more special. He loves getting massaged, who doesn't though right?! He shares a paddock with his brother Sonny, and they are inseparable! One of his favorite things to do is to be let out of his paddock to run and play with Sonny. He is a very special horse and we are lucky to have him! July's horse of the Month goes to Patriot! 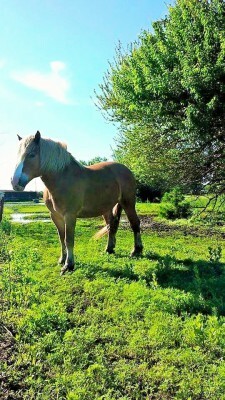 You can normally find him hanging out with Pal or Cigar, and he absolutely loves being out in the pasture to graze. His favorite thing for sure would be to receive his grain. He loves it so much, he always has to run a lap and kick up his feet before it is given to him, which provides some great entertainment during feeding time! 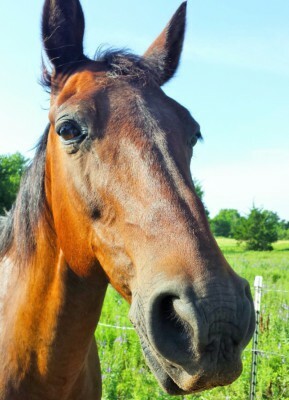 He is a very well behaved horse, he is always happy and excited, and he always greets you with love each morning. 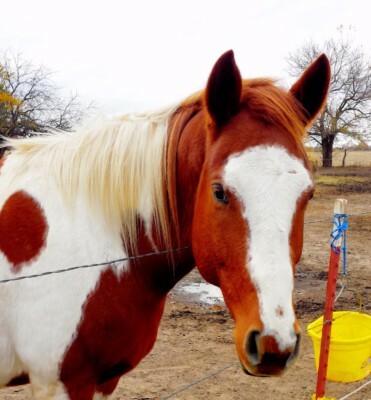 He is a cherished member of the Double R Ranch family and we are happy to have him! Horse of the Month for September goes out to Flynn! This horse has come a long way since we got him. He came to us very untrustworthy, flinchy, unsure, and hard to handle. After working with him, he now trusts more, understands that he is not the leader, and he has become a willing horse. Flynn is a very loveable and sweet guy who loves hanging with his buddy Blackjack, and getting his ears scratched. Horse of the Month for September goes out to Sassy! This little mare is absolutely adorable and is such a doll! She is so eager to please and loves to go on rides. Sassy has settled in quite nicely in her new paddock, which she gets to share with Lilly and Wasson. The three of them have become the best of friends; it is not often that you find them not standing side by side. 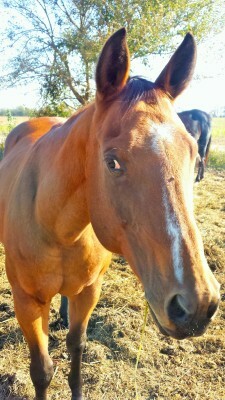 She is probably the most talkative horse we have out here at the Double R Ranch! We really enjoy having her here with us. Horse of the Month for October goes out to Mr. B! 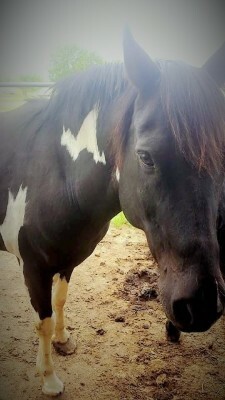 He is one of the oldest horses we have here at the Double R Ranch, and is very calm and kind to people and other horses. Even though he is usually fairly mellow, he loves to run, kick, and play around! He also enjoys a good roll in the mud, and peppermint treats. 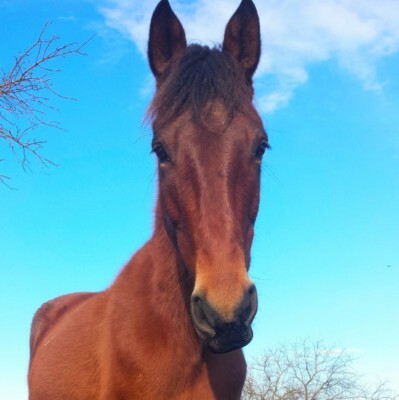 Horse of the Month for November goes out to Wildfire! Wildfire is a sweet boy, and he is also very curious about everything that goes on! You can usually catch him hanging out with Cara; he absolutely loves her and sometimes sticks to her like glue! We love having him here at the Double R Ranch.